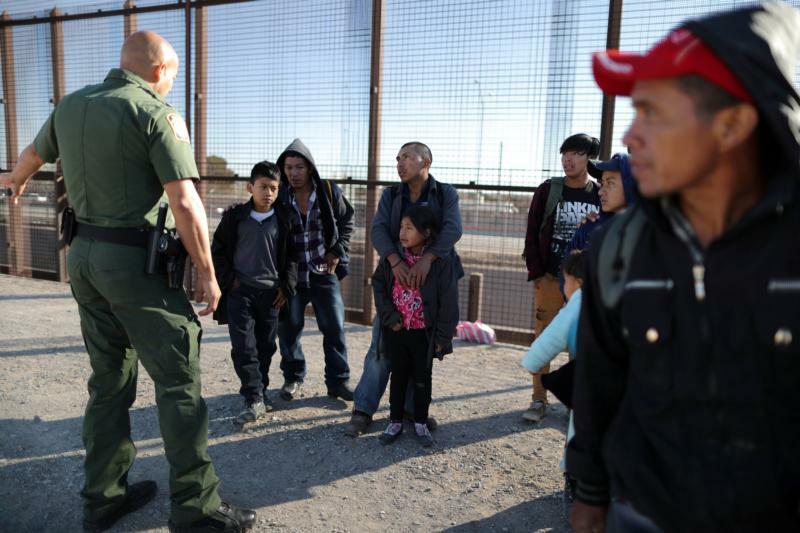 WASHINGTON (CNS) — An estimated 100,000 apprehensions of immigrants by U.S. Customs and Border Patrol agents at the U.S.-Mexico border in March is the highest figure in one month in a decade. But there is more than just those raw numbers, or President Donald Trump’s action to cut $500 million in aid to three Central American countries, or his since-revoked threat to close the border with Mexico. What’s missing, many say, is the human element of immigration. “They are mothers and fathers just like us and they are trying to do the best they can for their children and their families, just as we would,” Joan Rosenhauer, head of Jesuit Refugee Service, told Catholic News Service April 4 — the organization’s “lobby day” during which they talked to 41 members of Congress and their staff. “It’s not a good idea to cut off aid,” said William Canny, executive director of the U.S. bishops’ Migration and Refugee Services office. Citing aid to El Salvador, Guatemala and Honduras for job training, agriculture and other initiatives, “they are not things we want to cut off at this time,” he added. Most of the aid in question doesn’t go directly to the governments themselves. Catholic Relief Services receives $38 million from the U.S. government for education and job programs in the three countries, according to Rick Jones, an El Salvador-based youth and migration policy adviser for CRS. CRS president and CEO Sean Callahan, in an April 1 statement, opposed the yanking of aid. The dynamics of Latin American immigration have changed, according Adam Isacson, director for defense oversight at the Washington Office on Latin America. A slight uptick was registered in 2012, and “that’s when we first started hearing about children and families” making the trek to the United States, he said. Those numbers spiked in 2014, making headlines for about six months, he added. Today, instead of single Mexican men crossing the border and hoping to evade capture, Isacson said, youths and families cross hoping to be caught so they can claim asylum. On April 5, Trump called on Congress to “get rid of the whole asylum system.” So many border-crossers have claimed asylum that Customs and Border Patrol personnel are now outfitting them with ankle bracelets and court dates in a location closer to their stated destination because there are not enough beds in detention facilities, Isacson said. After Trump issued his threat to close the U.S.-Mexico border, news stories focused less on the fate of immigrants who could be stuck at the border and more on the fate of Mexican-grown avocados. “I don’t know what the president would have hoped to accomplish with the closing of the border, if that’s drawing more attention this so-called border crisis,” said Victoria Neilson, managing attorney for the Defending Vulnerable Populations project of the Catholic Legal Immigration Network. Others have shown skepticism — to the point of disdain — over Trump administration declarations of a border crisis. “This administration has fueled only fear and more chaos,” said Ur Jaddou, director of DHS Watch, during an April 4 conference call with reporters on border issues. She added the United States had accepted only 525 refugees from all of Latin America in fiscal year 2018. “That is certainly not a robust refugee program that is an answer to the region’s humanitarian issues,” Jaddou said. The moves struck CLINIC’s Neilson as counterproductive. The Sisters of Mercy of the Americas March 30 announced two separate delegations would visit the Texas-Mexico border — with one going to El Paso and across to Ciudda Juarez, Mexico, and the other to McAllen, Texas, in the Diocese of Brownsville — to investigate migrant ministries and border conditions. The Ignatian Solidarity Network launched a message campaign asking the State Department to “reject President Trump’s call to end foreign aid to these Central American countries. Copyright ©2019 Catholic News Service / U.S. Conference of Catholic Bishops.